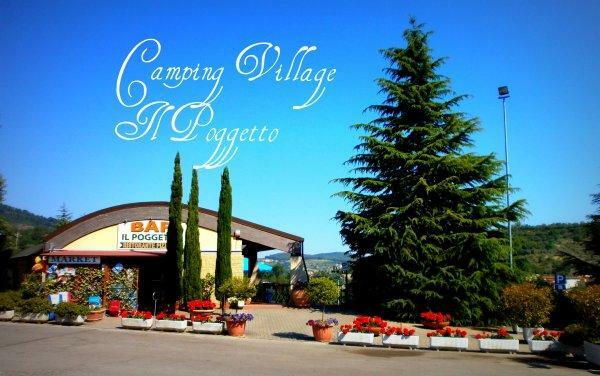 Welcome to Camping Village Il Poggetto. 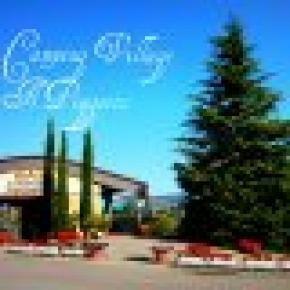 Il Poggetto is a campsite in the heart of Tuscany, located 15 km South-East from Florence in the middle of green hills, wine and olive yards, in the famous Chianti Territory. Florence, the capitol of Arts, is easy to reach by bus. The busstop is only 50 meters walk from the camping. For those who love shopping, only 6 km away, there is a brand new outlet center (THE MALL), where you can find Valentino, Gucci, Armani, YSL, Dolce & Gabbana, Prada and many more. After a day of shopping, you can take a break in our pool (included in the price). Enjoy our country life by riding a horseback through the Tuscan hills or taste wine at the Chianti bottega nearby! At the end of your day, don't forget to visit our famous Restaurant. A perfect place to fill up your belly with a great plate of pasta or pizza and a good Chianti wine. Our nice staff will be glad to help you plan your holiday, by giving you all the information you need about Florence, the Chianti region and also about nice camping in Siena, Pisa, Rome and Venice . VERY IMPORTANT: TOURIST TAX of € 0.80 per person per night. This tax has been put from the 01/01/2012. - payment by credit card and cash accepted. - free luggage storage before the check-in and after check-out. - free travel information (bus timetables). - bed sheets and towels are for rent (3.00 euro for sheets and 1.50 for towel). - Breakfast: One croissant + orange juice + 1 cappuccino € 3,00 per person!! Ask for your voucher at the reception! Yhe full balance of your reservation must be paid during your check-in, even though you decide to stay less nights than what you have booked.